In an interview on the Rap Radar podcast, L.A. Reid revealed that there is a new A Tribe Called Quest album in the works. Reid is the CEO of Epic Records, and acccording to Pitchfork, he was on the podcast to discuss the future of the label. “You know what I’m excited about, though: A Tribe Called Quest,” he said. “We have a Tribe Called Quest album coming. I’m really excited about that.” The album was recorded before Phife Dawg passed away this year, and he added that the entire group (including Jarobi White) was included. You can listen to the podcast here. Thankfully, he assured us that the album is “coming very soon.” It would be the group’s first since 1998’s The Love Movement. Jarobi White has not appeared on a Tribe album since 1990’s People’s Instinctive Travels and the Paths of Rhythm. 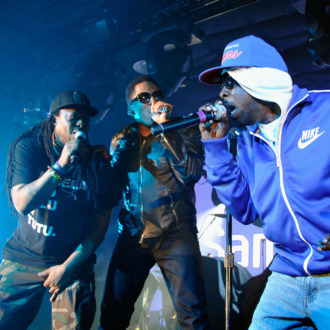 Watch A Tribe Called Quest’s “Can I Kick It” below.